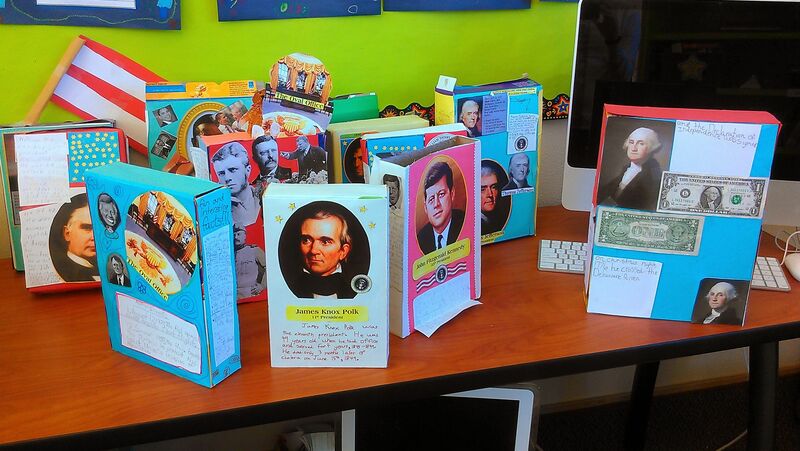 Every year the 4th graders do the presidential cereal box project. The students get assigned a president. They then get a picture of their president and put it on the front of a cereal box. They also have to put other items that represent that president. The students can use money, documents, and other objects. The students can also decorate their box with pictures. They also have to write a poem that is a full page and present it with their cereal box. This project is a different way to learn about presidents and makes it more interesting. It’s a way to be creative and helps them learn how to research. I’m sure their cereal boxes will be amazing and will have a lot of great information.